Setting targets is relatively easy if you want to make it easy – just pluck a number from the air, make it your target and strive to achieve it. However, there is more to target setting than a simple number selection. One of the first things to be clarified when using target is why they are used. The answer might seem intuitively simple: to facilitate their achievement. Still, there are more reasons to using targets. To check if the temperature is within certain limits. In medicine 37° Celsius / 98.6° Fahrenheit is considered the average healthy temperature of a healthy human body. In a way it can be considered a target, however a flexible one, based on a variance interval around it. To ensure the temperature meets a specific value. For example, in cooking some dishes require a specific temperature to be reached as per the recipe. In this case, meeting the target temperature is required for the successful preparation of the dish. To learn – targets provide a good reference point for evaluating achievement and comparing results. To control / ensure compliance – to verify the achievement of a specific limit required as part of the successful delivery of a business plan. In time, the latter two reasons worked hand in hand to overshadow the learning aspect of target setting. They work fairly well in the short term and bonuses based on meeting short term targets have become the norm in business. However, their long term impact is in many instances less positive. The Global Financial Crisis is only an example of the manifestation in practice of this thinking. Coming back at the thermometer metaphor is as we would use thermometers only to check the temperature of the steak we are cooking (satisfying our short term hunger), having forgotten to also using them to monitor the temperature of our body, for long term health benefits. In practice (medicine and manufacturing) this is not the case – thermometers used in equal measure for learning and ensuring compliance. In business administration it is as if we have forgotten about the learning aspects of target setting… Reward and recognition driven target setting is the norm. The implications at cultural level are important. 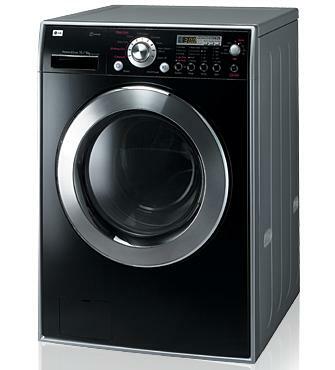 Targets for control in many instances result in a dangerous combination of human greed and mechanistic behavior. This combination, coupled with ineffective risk management is one of the factors that contributed to the demise of many organizations in recent history. Having a good steak is generally easier and more appealing than monitoring health and learning about ourselves. Fortunately, the body has the ability to self regulate temperature. 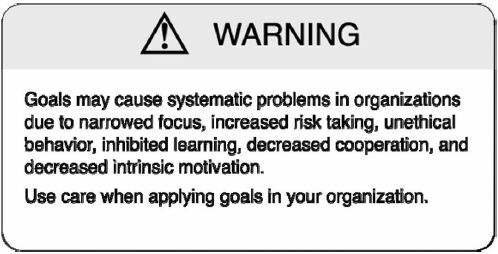 Organizations, on the other hand don’t have a mature self-regulation system, again mainly due to the relatively low level of sophistication of organizational culture today. As a result rewards and recognition target setting seems to be a relic of 19th century management prehistory, a reflection of our inability to find the right balance in human organizations. After all, it took hundreds of years to evolve the thermometer to its current form. Scientific management has been around for less than 100. Maybe it is just a question of time. Performance management is one of those disciplines that seem to be intuitively easy. It is closely related to everyone’s life. We all hear about setting goals here, achieving targets there, implementing strategies, writing vision statements, living values and so on. It is not the same for disciplines such as risk management and enterprise architecture – ask someone on the street a question in these fields and there is a good chance the person will be much quieter than expected. Ask the same person a question about performance management and the chances of obtaining a response are much higher. All of us have been exposed to performance management in some form through our lives, starting with childhood. Performance management is about doing well in sports, doing well in school, playing an instrument, doing well at work and contributing to the organization we are a part of. So intuitively we know what it is about, why it is needed and how it works. But how many times did westop to think about these aspects? Or think about the way we think about performance management? Why does it work? What happens? Such questions have been asked mainly by researchers (as oftentimes consultants are too busy consulting and experts too busy giving advice to ponder on such esoteric questions). As a result, responses to such questions remained mostly in the realm of the academia. And one of the all time favorite terms in academic literature, almost unknown (in the academic sense) to business practitioners is: theory. 1. As performance management is such an embedded discipline in our life, it impacts us more than many others. It would be beneficial to know the logic behind many of the processes and tools used for performance management initiatives. A driver with a few skills in mechanics is a better driver than the one that doesn’t have a clue that there is an engine behind the bonnet and it requires fuel. 2. Understanding the theory behind practice puts us in a better position make informed decisions and to question solutions proposed to us. Too many performance management products and ideas and promoted and taken for granted. A more informed buyer is a smarter buyer and a happier customer. 3. Critically reviewing the theory behind practice enables us to question its validity and try improving it. How can we improve and advance performance management if we keep focusing on solutions without thinking why and how these solutions work? Either way, next time you are offered a solution don’t forget to ask the question: So, what is the theory behind this? You might get lucky and the response will put a smile on your face for the rest of the day. A new feature available on http://www.smartKPIs.com starting with this month is the smartKPIs Performance Management IQ test. Only one option can be selected as there should be only one option closest to the way the statement is understood and perceived. The term “IQ test” is pretentious and used to illustrate that being smart in performance management transcends the mechanistic approach of being right or wrong. Having this in mind, the test should be used more as a guide to discover the rich diversity of views on how key terms are or should be used in performance management. Overall the test should be a fun way to rediscover the basics of a performance management glossary. Ideally it should also raise questions about what actually happens in practice, away from the prescribing nature of management books, academic articles and management consultant’s opinions. 1. Performance Management as a discipline contains elements that closely link it to a multitude of other disciplines and organizational capabilities: Strategy Management, Project Management, Human Resources Management, Accounting and Psychology, to name a few. Understanding such linkages and the origins of key terms are an important step in building a robust basis for architecting organizational performance. 2. The popular understanding and perception of certain terms in practice may be very different compared to academic and consultant’s viewpoints. What matters in the end is how such concepts are used in practice to generate value and not necessarily which is the “perfect” definition of what a KPI is. 3. Have an open mind in terms of rediscovering performance management through the lens of various viewpoints and be prepared to change perspectives or shift entire paradigms. According to one view, by completing the smartKPIs Performance Management IQ test you have completed a test and reviewed different opinions on specific topics. From another viewpoint (Guba and Lincoln, 1989), you have just completed a hermeneutic dialectic process, as new meanings emerge as divergent views are compared and contrasted. Stringer, E. T. (2007) “Action Research, 3rd Edition“, Thousand Oaks, CA, Sage Publications. Guba, E. G. and Lincoln, Y.S. (1989), “Fourth generation evaluation“, Newbury Park, CA, Sage Publications. Launched in November 2009, www.smartKPIs.com was met with overwhelming interest by tens of thousands of visitors from over 160 countries. A base of regular visitors quickly formed in a relative short period of time and it continues to grow with many registering as site users daily. Why such interest in the subject of Performance Management and more specifically Key Performance Indicators (KPIs)? What sets smartKPIs.com apart in addressing this interest in the subject? Business Performance Management is a dry subject for many. At individual level, annual performance reviews have been compared to preparing tax returns – it is hard to find someone who takes pleasure in completing them, but they are necessary and regular. For others the topic is complex and rewarding. 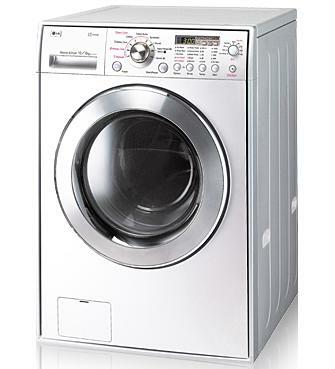 At company level, Performance Management Systems have been compared to washing machines that have to be properly installed and configured in order to operate as desired (Meekings et al, 2009). Performance Management is still in the early stages of being established as discipline and the lack of standards makes using tools and concepts from this field a challenging task. There is a certain degree of confusion in the way terminology is used in the discipline both within academic literature, in practice and between them. Faced with the challenging task of finding coherence in this universe of mostly unstandardised concepts, practitioners welcome tools and methodologies that bring clarity, structure and simplicity to Performance Management. The success of the Balanced Scorecard over the last 20 years is proof of that. 3. Manage personal libraries of KPI examples, selected by users as most suitable for the performance management initiatives they are involved in. 4. Source templates that can be used in better structuring the documentation used as part of organisational performance management frameworks or systems. The world abounds with Performance Management consultants and there are many resources available on the Internet. smartKPIs.com is not the first, nor the latest online platform available to the wider public. The combination of insight from practice with academic rigor. We value academic research and use its findings and principles. At the same time, abstract concepts are much better understood when analysed in context, in practice. In addition, practice refines such concepts and contributes to their evolution and usability. Expertise in the field of Performance Management, through a “community of inquiry”. The definition of an expert is relative. Today, same as in old times, anyone can claim to be an expert in anything. Mark Twain is credited with using the phrase “an ordinary fellow from another town” as an explanation to the term. Will Rogers is credited with using the phrase “a man fifty miles from home with a briefcase” to express the same. In our times, the number of miles increased considerably and the briefcases were replaced by blogs, websites and accounts on social networking sites. In developing expertise we took the long but steady road of academic study, combined with learning from practical experience and generating new insights. Our approach to learning from practice is action research and it follows Peirce’s inquiry process of abduction, deduction and induction (Barton et al, 2007). More importantly, we have done over 10,000 hours of deliberate practice in the field of Performance Management both at team level and individual level by some of the team members. 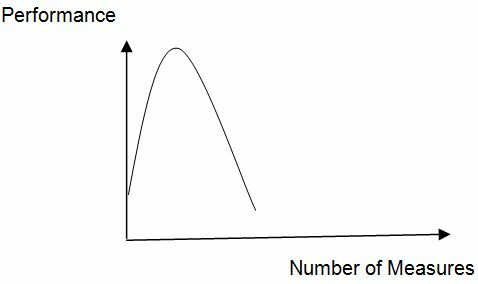 Academic research supports a causal relationship between the accumulated deliberate practice (guided, highly structured learning activity) and the level of expertise in an area. Deliberate practice being a “highly structured activity, the explicit goal of which is to improve performance” (Ericsson et al, 1993). Having said that, we are great believers in the power of collective intelligence. We see ourselves as informed facilitators of the interaction, collaboration and learning process that smartKPIs.com users will participate in. One metaphor that I think describes smartKPIs.com is comparing it to a tree. Honey – Value generation for visitors, fed back into their organisations. Ericsson, K. A., Krampe, R. Th. and Tesch-Römer C.(1993), The role of deliberate practice in the acquisition of expert performance, Psychological Review, Vol. 100, Nr. 3, pp. 363-406. 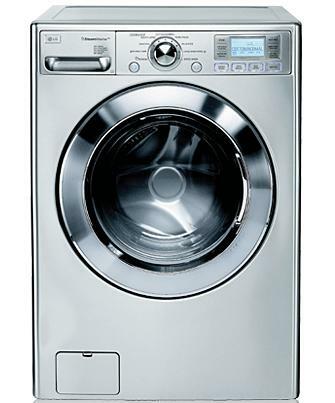 What do prescription medicines, washing machines and performance management have in common? The answer emerges from several articles published in the Academy of Management Perspectives and the Measuring Business Excellence Journal over the course of 2009. They reflect a trend in performance management literature of using metaphor to paint the complex picture of some of the theories linked to this discipline. 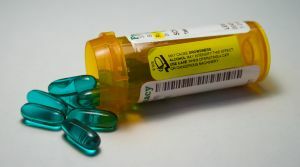 In their February 2009 article, a group of professors from US based business schools compare goal setting with a prescription strength medication, with powerful and predictable side effects: “Rather than being offered as an “over-the-counter” salve for boosting performance, goal setting should be prescribed selectively, presented with a warning label, and closely monitored.” (Ordonez et al, 2009a). Some of the assertions made by the article were met with a strong response by Locke and Latham, pointing out some of the flaws in the research approach and conclusions (Locke and Latham, 2009a). The debate continued in two more articles (Ordonez et al, 2009b and Locke and Latham, 2009b), however the relevant point here is the use of goals as prescription medicine metaphor. 4. connected to a power supply – empowered employees that take action (Performance Action). The 69th Annual Meeting of the Academy of Management will take place between 7-11 August 2009 in Chicago, USA. 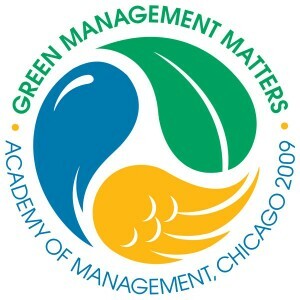 The theme for this year’s edition is “Green Management Matters”, inspired by society’s increasing concern about responsible stewardship of the natural environment. Lowest number of submissions in the Management History (34), Management, Spirituality and Religion (50) and Management Consulting (61) Divisions. The Academy of Management has recently launched AOM Connect, to coincide with the 69th annual meeting. AOM Connect is a new service offered by the Academy of Management to its members, as an online professional networking tool. The concept is similar to the AAACommons community operated by the American Accounting Association. Both are powered by HiveLive, a provider of enterprise-class online customer communities. Founded in 1936, is the oldest and largest scholarly management association in the world. 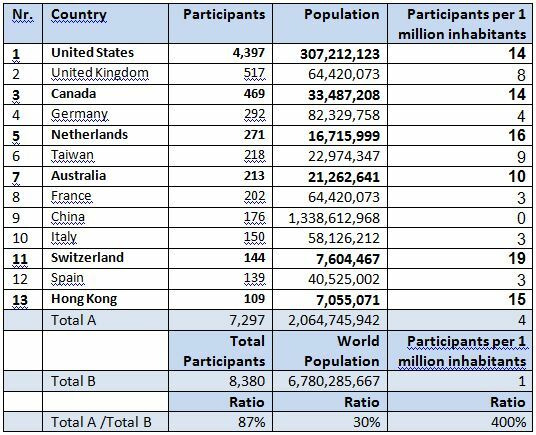 19177 members from 108 nations. Publisher of 4 journals: AMLE, AMJ, AMR and AMP.